his naive illusions collide with the cold-hearted unpredictability of movie-making. a tangled tale of high hopes, dashed dreams and surprisingly resilient souls. 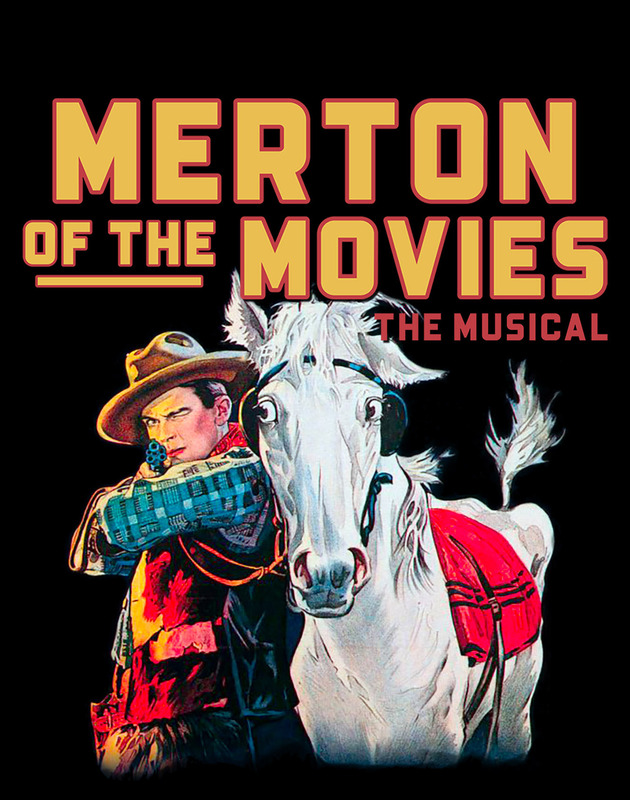 MERTON OF THE MOVIES: The Musical tells the story of a small-town lad who fantasizes about making it big in Tinseltown during the Silent Film era and just what happens when his naive illusions collide with the cold-hearted unpredictability of movie-making. With an exciting and memorable score, it’s a show-biz origins story told with humor and heart — a tangled tale of high hopes, dashed dreams and surprisingly resilient souls. Mel Shapiro(Book) is a Tony Award-winning American theatre director and writer. Shapiro co-wrote the book (with John Guare, for which they received the Tony) and directed the Broadway musical adaptation of TWO GENTLEMEN OF VERONA. He directed the 1978 Broadway revival of STOP THE WORLD - I WANT TO GET OFF with Sammy Davis Jr. as well as Guare's BOSOMS AND NEGLECT. Shapiro’s Off-Broadway productions include the original staging of Guare's THE HOUSE OF BLUE LEAVES, which won the New York Drama Critics' Circle Award for Best American Play. He has staged works at Lincoln Center, including the Obie-winning Václav Havel's THE INCREASED DIFFICULTY OF CONCENTRATION, and productions over six years at New York Shakespeare Festival’s Public Theater. He is one of the founding members of New York University’s Tisch School of the Arts and also served as head of the Carnegie Mellon School of Drama. ROBERT LORICK (Book & Lyrics) began his career as an actor and later became a theatrical writer and lyricist. He made his Broadway debut as lyricist for award-winning THE TAP DANCE KID. He has collaborated with NUNSENSE composer Dan Goggin on numerous projects, including the award-winning musicals HARK! and JOHNNY MANHATTAN. Bob has been the "voice" of many brands, both on radio and television, and is also known as the title character in the radio series, THE INCREDIBLE ADVENTURES OF JACK FLANDERS. GARY WILLIAM FRIEDMAN (Composer/Arranger) is the composer of the TONY-nominated, OBIE Award winning musical THE ME NOBODY KNOWS. Other theater credits include TAKING MY TURN (Outer Critic's Circle Award), subsequently presented on PBS Television's Great Performance Series and LOVE, LINDA: THE LIFE OF MRS. COLE PORTER, co-created with Stevie Holland, for which he also wrote the arrangements and additional music. Friedman’s orchestral, operatic, liturgical and dance works have been commissioned by venues including the Kennedy Center for the Performing Arts, the Columbus Symphony and the Lancaster Music Festival. A selection of Friedman’s symphonic works is recorded on Colloquy (150 Music). Other recorded works include “Reflections”, commissioned by the Palisades Virtuosi (Albany Records: AMERICAN MASTERS VOL. 6). In addition to scoring several feature and television films, Friedman served as Music Director for T.V. 's "The Electric Company", for which he composed many songs, including the popular "Spider Man Theme Song". STEVIE HOLLAND (Co-Author/Additional Lyrics) is an internationally acclaimed vocalist, songwriter and recording artist. She recently starred in the Off-Broadway production of LOVE, LINDA: THE LIFE OF MRS. COLE PORTER, created by Holland and Gary William Friedman (published by Tams-Witmark/Concord.) Holland’s recordings include Before Love Has Gone (150 Music), which was chosen as a USA TODAY Top CD of the Year and selected as an All Music Guide Album Pick. She has headlined at major venues across the country, including New York’s Jazz at Lincoln Center and Merkin Hall. Holland has several projects currently in development along with a newly conceived PLATINUM (with Friedman, Will Holt and Bruce Vilanch), which was recently presented at the York Theatre’s Reading Series. LYLE SAUNDERS (Producer) is a noted New York creative director and advertising/marketing executive. He has produced or partnered in numerous Broadway and Off-Broadway plays and musicals and is represented on Broadway most recently with WAITRESS, NETWORK, BE MORE CHILL and WHAT THE CONSTITUTION MEANS TO ME.